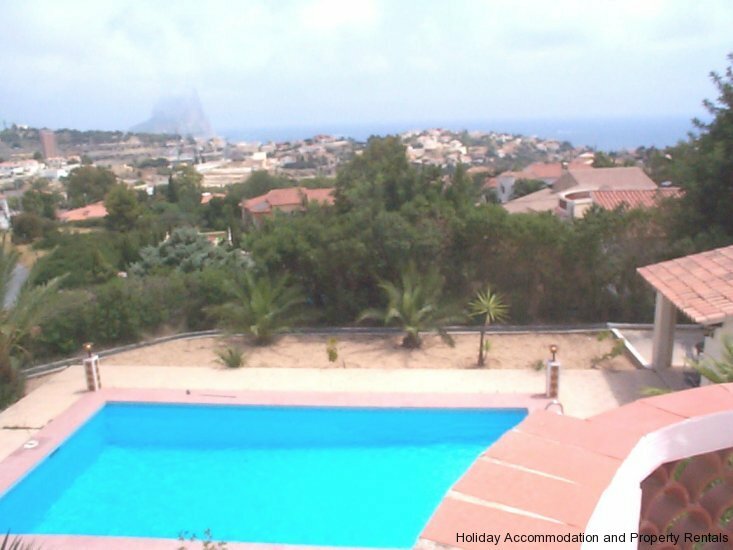 Lovely modern and luxuriously furnished three bedroom villa situated in the tranquil settings of the of Calpe, just a short drive from and within walking distance of the Blue Flag Calpe beaches, bars, restaurants and shops. 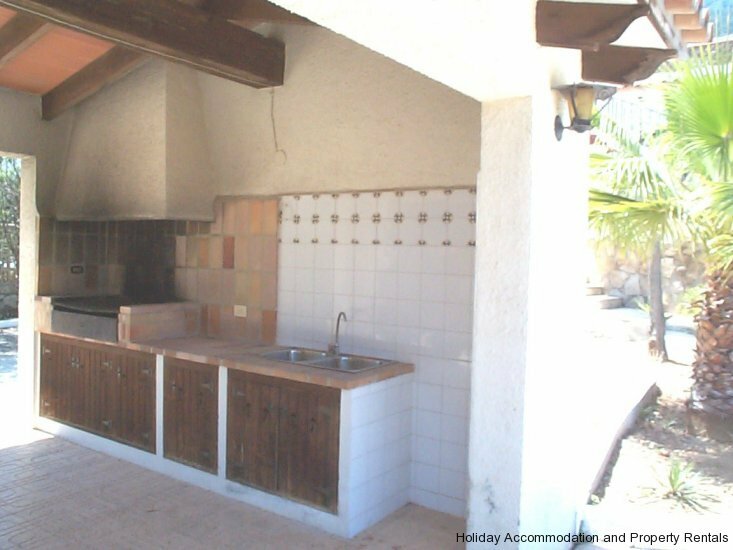 The accommodation is all on one level and consists of a spacious and airy deluxe lounge with an adjacent dining area, a well equipped kitchen, three bedrooms (one ensuite) and two bathrooms (one ensuite). Outside there is a large naya for sitting in the shade and dining on those hot balmy Mediterranean evenings, an inviting pool with roman steps, a summer kitchen with barbecue and extensive sun terraces. 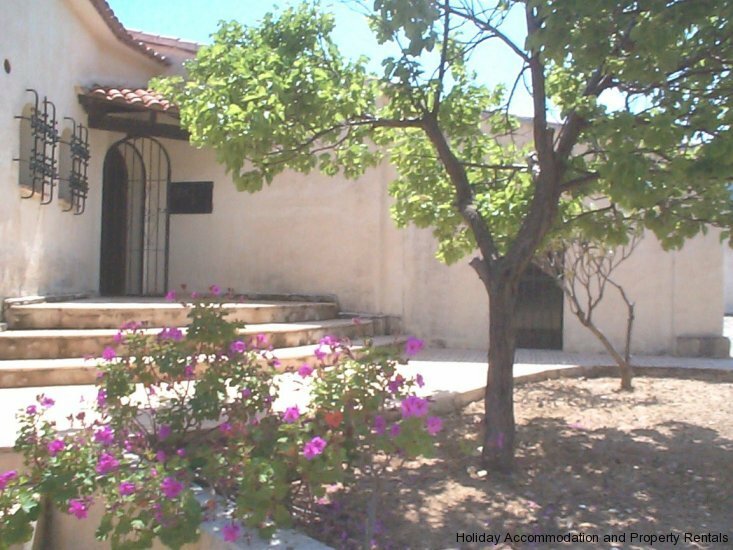 Other features include full air conditioning and heating, satellite TV and parking space for several vehicles. 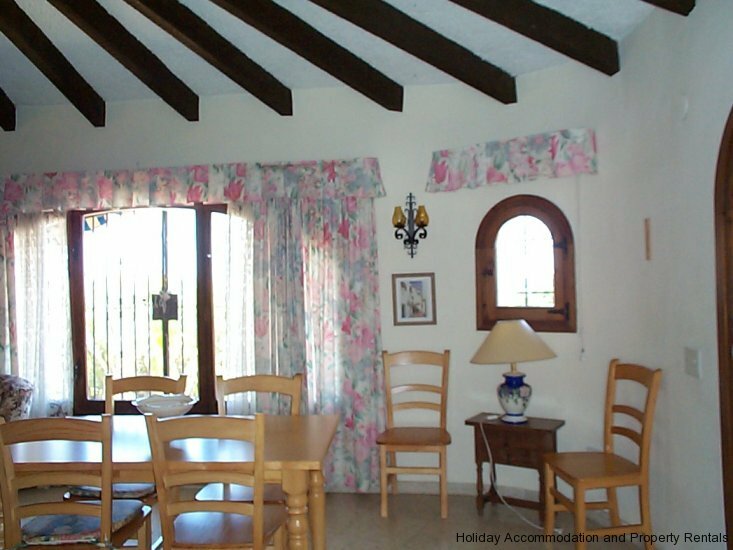 This villa has all the features required to make your stay as enjoyable as possible and is highly recommended. 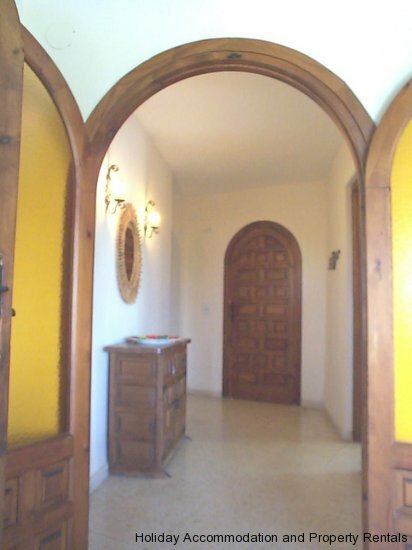 This is only an example of a premium listing my villa is not for rental at this time. 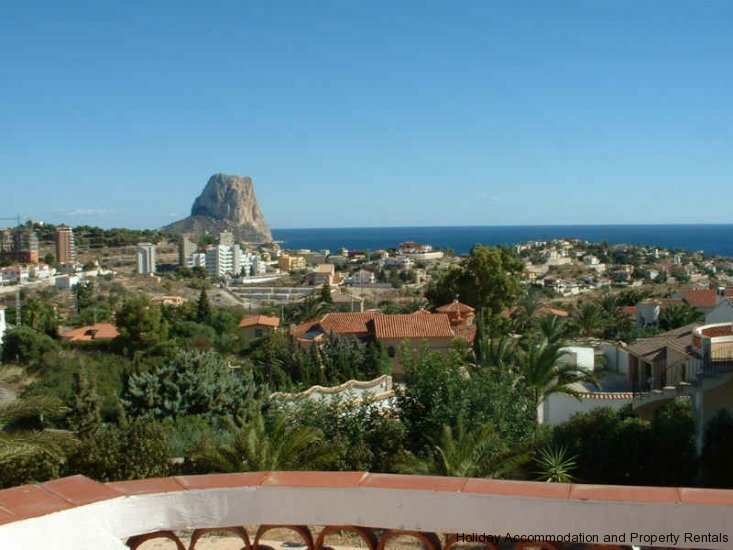 Calpe – Leisure Activities: Port les Basetes is about 2 kilometres along a nice coastal path from the North end of Calpe’s Levante (East) beach; it is also only a 5 minute drive from the Villa. It is an outstanding centre for water sports – especially diving, fishing, sailing, water skiing and wind surfing. Tennis is available at the Calpe Club de Tenis at 2 kms from the Villa. There are also many opportunities for both the lazy and the adventurous walker – either reaching the top of the Penon or walking round or up the Sierra de Olta could be interesting. Just inland is the Montgo National Park which has numerous walking opportunities from the easy to the severe – all with splendid scenery and views. Golfing Information: There are 8 excellent courses in a radius of half an hour from the villa & many more in an 1 hour radius. 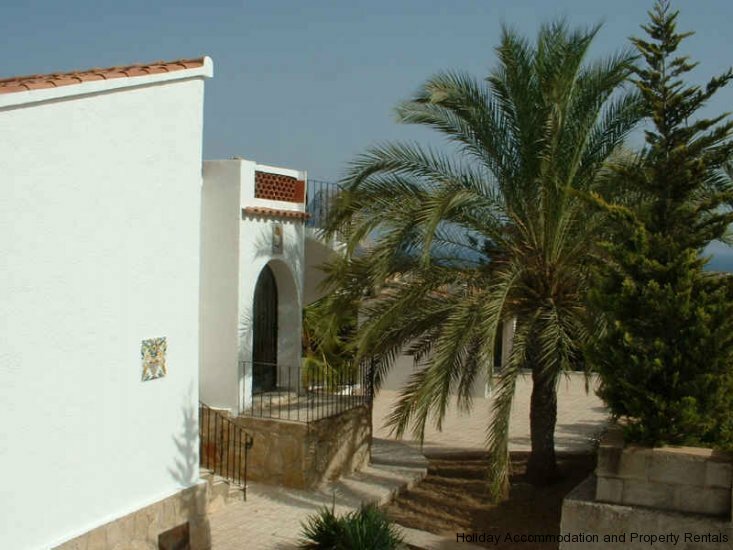 There is a selection of both 9 & 18 hole courses nearby ranging from the wide fairways of Javea to the narrow fairways of Benissa Ifach to the natural relief of Altea Don Cayo. Further afield you have the challenging championship courses at the Nicklaus designed 18 hole courses (long and short) at Real de Faula Benidorm, the Olazabal designed La Sella 18 hole course between Javea and Denia, and the Ballesteros designed 18 hole course at Oliva Nova. If you want to book tee times in advance, please let us know.